I warned you that some recipes on my site will be healthy, and some…not so much. This bread falls under the “not so much” category. And, hey, as long as we’re making not so healthy bread, chocolate chips must be involved. I combined two of my favorite bread recipes in this one. 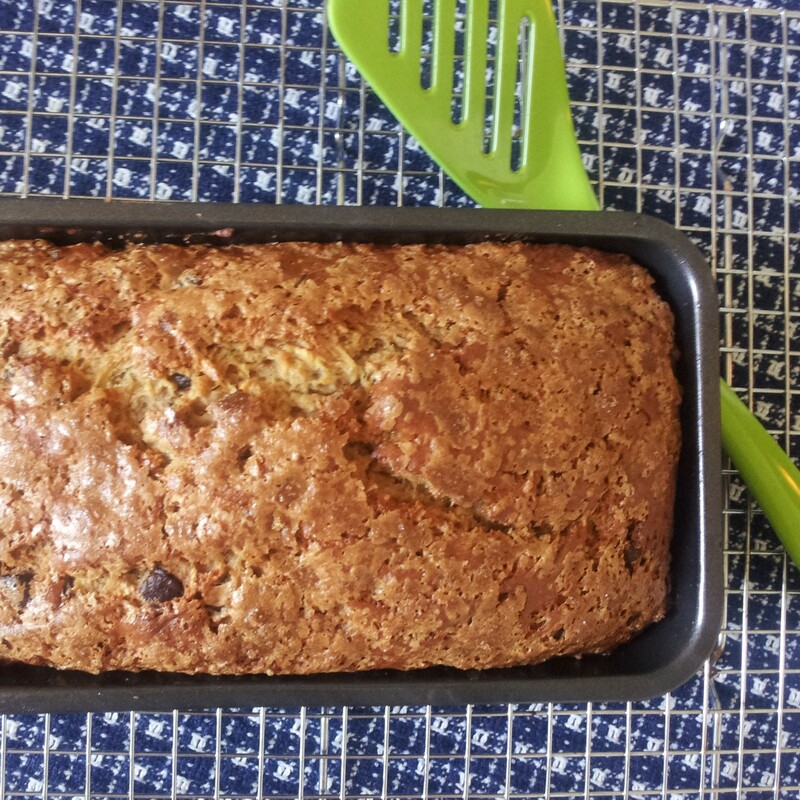 Zucchini bread and banana bread (you’re already smelling this out of the oven, aren’t you?). I’ve had trouble making banana bread in the past. I’ll admit that my past few attempts were far too dry. Never again will I be making banana bread without adding zucchini to it. 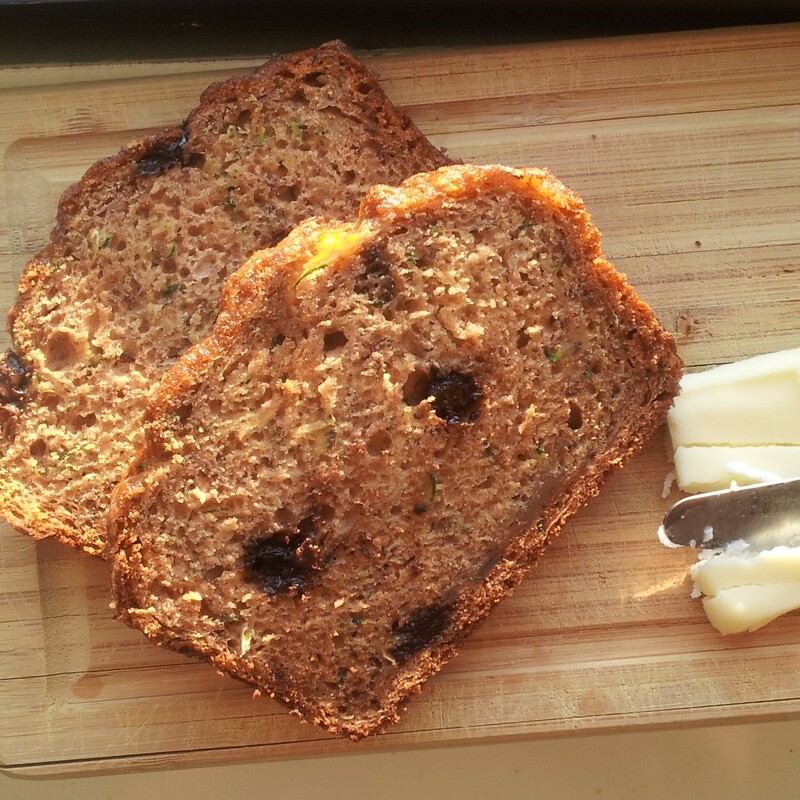 The zucchini brings so much moisture to the bread, making it impossible to dry it out. This recipe is foolproof. Combine wet ingredients, combine dry ingredients, add dry ingredients to wet ingredients. Don’t forget the butter and chocolate chips, bake, and done! It’s just that simple. 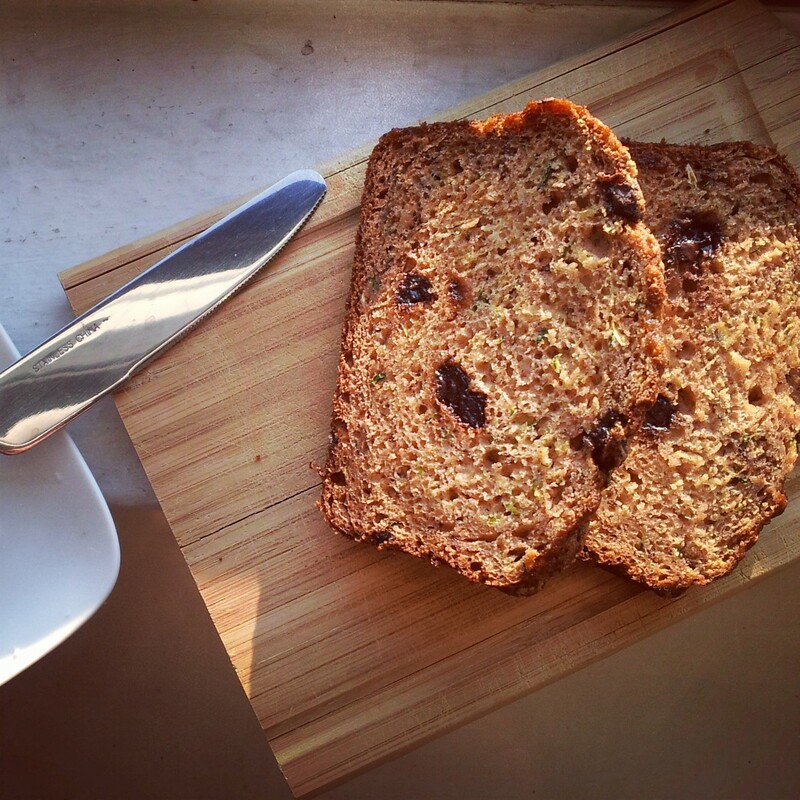 This bread can be eaten as breakfast, dessert, or as an afternoon snack. I like it is toasted and slathered with cream cheese. I know…cream cheese? I thought it was weird at first too. Give it a try, though. You’ll be so happy you did. Preheat over to 350 degrees. Grease a loaf pan with non stick cooking spray and reserve. In a large bowl combine bananas, zucchini, sugar, and egg. Mix well. In another bowl combine flour, baking powder, baking soda, salt, and pumpkin pie spice. Mix well. Gradually add dry ingredients to wet ingredients. Mix well, but do not over mix. Stir in melted butter and chocolate chips. Pour batter into loaf pan and sprinkle the top with brown sugar. Bake for 1 hour or until a toothpick can be inserted into the center of the loaf and come out clean (or mostly clean). Allow bread to cool in the loaf pan for 30 minutes. Remove from loaf pan and allow to fully cool on a cooling rack. Slice, toast, slather with butter or cream cheese!